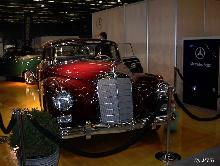 Mercedes launched its first post-war full-size luxury model in 1951, the 300. 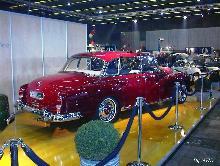 The 300 was a large car by any standards and competed head-on with other top marques such as Rolls-Royce and Cadillac. The 2996cc six cylinder 300 Saloon came in three model phases designated 300A, 300B and 300C. Each variant introduced further refinements which included servo brakes and automatic transmission. 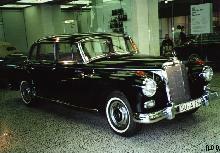 The 300 series saloons had four door, six light coachwork constructed on a substantial tubular chassis. 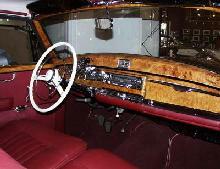 As you would expect the 300 came lavishly equipped and was built to the highest standards. The model was replaced in 1957.